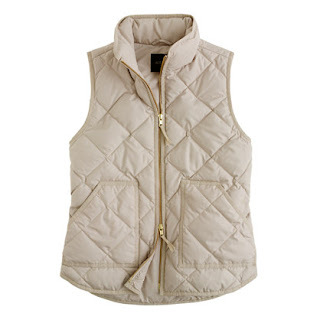 Vests often go by unappreciated by the fashion world, but what most people don't realize is what amazing layering pieces they can be, Add a vest over ultimately anything: dresses, shirts, sweaters, jackets etc. There are so many different types and styles of vests that you'll probably head to the nearest mall after seeing how undeniably cute some of these looks are. The Jean Vest, fondly called the "Jest." Yup, it's comin' back. Pair it with an adorable sun dress like the girl above or throw it on over a blouse and a cute girly skirt. 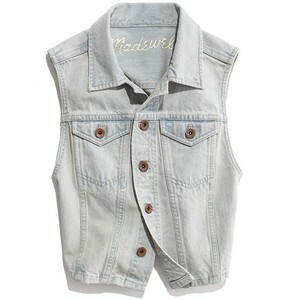 Check out the Madewell Jest below, super cute right? The puffy vest, is comin' back as well! No longer are they reserved for cold outdoor ventures, but cute fashionable statements! Throw on one of these with a long sleeved shirt or a sweater like the look above. 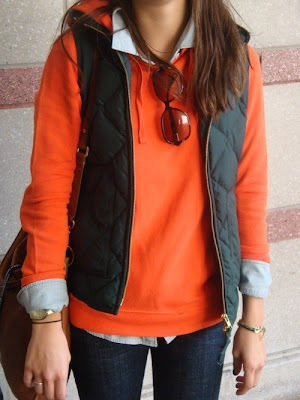 My personal favorite has to be the J-Crew vest below. For more complex fashionistas, check out this amazing look done by this style blogger. A belted grey collared vest with a blue striped shirt and white jeans? Genius! Instantly adorable. 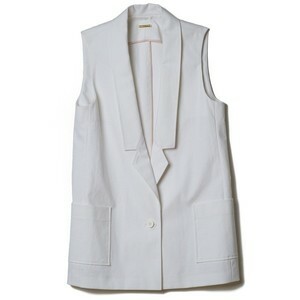 For a vest similar to this, the Rebecca Minkoff one below is something similar to what you'll be looking for. One look that often goes unnoticed is the vest with a skirt look. Especially when paired with maxi skirts, a vest can pull an entire outfit together, like the look above. Perfect for Spring time! 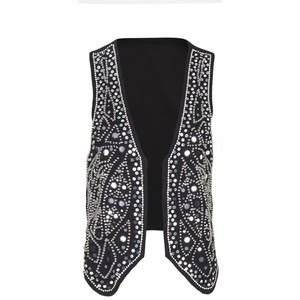 While this vest is undeniably fab, I couldn't resist adding in the MANGO sequined vest below. Definitely a purchase for the more bold of the fashion word, but totally worth it. Pair this with some skinnies and tee and you're good to go!